Gingko biloba extract has been shown to boost alertness, concentration, focus and memory. Ginkgo biloba (Ginkgo or Maidenhair) is one of the oldest species of trees on earth. Scientists consider it a “living fossil” dating back 270 million years. [i] It has continued to survive even after major extinction events. Gingko tress can grow to 130 feet (39.6 meters). Some Ginkgo trees in China are thought to be over 2,500 years old. And a 3,000-year-old tree reportedly stands in the Chinese province of Shandong. Four Ginkgo trees survived the atomic explosion in Hiroshima. Only 1,130 meters from the bombs epicenter. An extract of Gingko leaves called EGb 761 is standardized to 24% flavone glycosides (flavonoids) and 6% terpenes (ginkgolides and bilobalides). 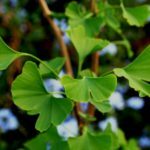 How does Ginkgo Biloba Work in the Brain? How does Ginkgo Biloba feel? Ginkgo Biloba (Ginkgo or Maidenhair) is one of the oldest species of trees on earth. This “living fossil” has survived major extinction events for as long as 270 million years. Gingko, also known as Maidenhair, has been used in Chinese medicine for millennia. Many of Ginkgo’s modern applications are based on research by German and Chinese scientists where it is a prescription drug. The leaves have been used for thousands of years to boost mental alertness, improve cerebral circulation, and overall brain function. EGb 761 is the standard extract of the Gingko referred to in the studies and clinical trials referred to in this article. It is standardized to 24% flavone glycosides (flavonoids) and 6% terpenes (ginkgolides and bilobalides). Ginkgo Biloba boosts brain health and function in several ways. But two in particular stand out. Cerebral circulation. Ginkgo boosts several brain functions by improving blood circulation in the brain. 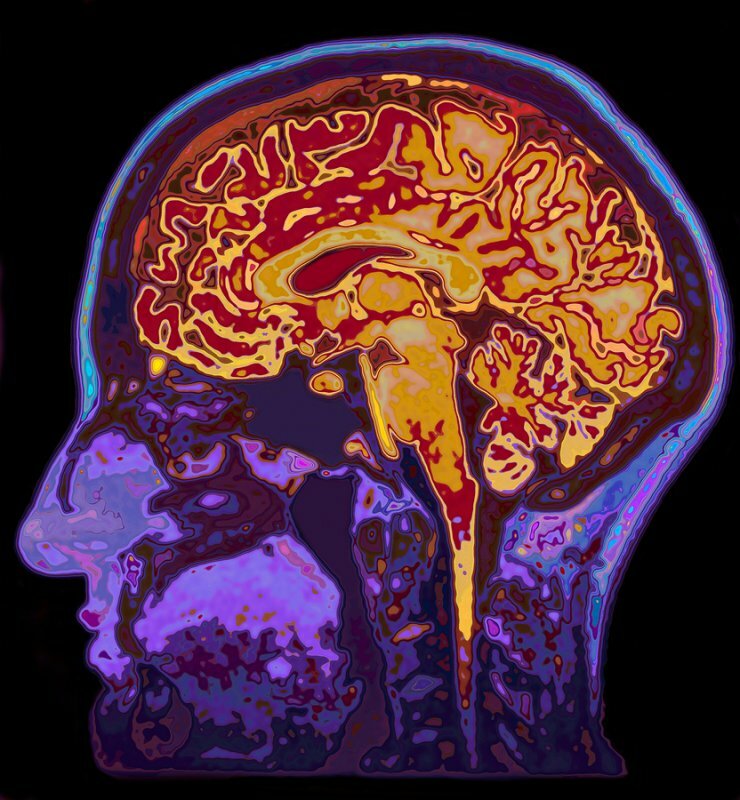 A study in the Department of Radiology, at Johns Hopkins University School of Medicine used MRI’s to measure blood flow in 9 healthy men. MRI’s were done before and after the men took Gingko Biloba Extract 60 mg twice a day for 4 weeks. Cognition and mental performance. Gingko is well known as a memory booster in the nootropics community. Studies have shown Ginkgo helps attention, mood and processing speed. One large study at Liberty University, Lynchburg, Virginia was conducted with 262 healthy adults. This 6-week, double-blind, placebo-controlled trial had volunteers taking 180 mg of Ginkgo biloba extract, or a placebo daily for 6 weeks. As we get older, our brain chemistry and energy metabolism changes. Blood vessels in our brain shrink and get narrower. Preventing the free flow of oxygenated blood to neurons. 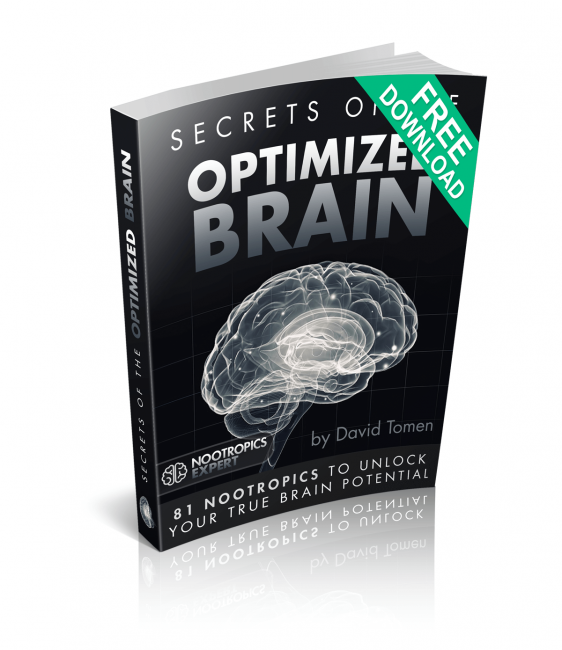 Toxic waste and free radicals accumulate within brain cells. All of these age-related changes are contributing factors to the neurodegenerative diseases of aging, including Alzheimer’s and dementia. But even if you’re not concerned with the effects of aging, Ginkgo biloba can help. Gingko improves circulation including in the brain. 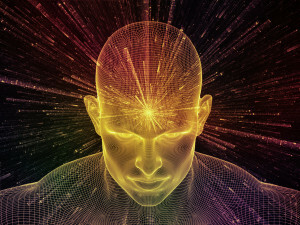 Thinking, reaction time, energy, and memory should improve. Cold hands and feet are often an indication of poor circulation and Ginkgo could help. Ginkgo has a reputation for helping reduce the symptoms of tinnitus. And it’s also developed a good rep for helping erectile dysfunction (ED) in men. Many neurohackers report it takes several weeks of continued use of Gingko to experience all the benefits this healing herb provides. Age-related cognitive decline is expected as a normal part of aging in our society. This decline can lead to difficulty performing everyday activities like concentrating on what your loved one is saying. Or remembering to attend a family function you’ve been looking forward to for months. This decline will affect your quality of life and affect your mood. And it’s happening to younger and younger people. But many of us in the nootropics community refuse to accept cognitive decline as “standard”. Note: One important consideration we found in the research on Gingko Biloba. Some of the findings have been contradictory. Some indicating that Gingko does not work. But the overwhelming impression we got from looking at decades of research was that Gingko Biloba takes a while to work. Often it can take many months of supplementation to see results. And extracts work far better than plain, powdered, ground Ginkgo. Researchers in Germany set out to study the effects of Ginkgo Biloba in healthy adults. This randomized, double-blind, placebo-controlled trial worked with 66 health volunteers for 4-weeks. One group was given a placebo, and the other group took 240 mg of Ginkgo Biloba extract daily. Another study with 1,570 men and women in England took either no dietary supplement or 120 mg of Ginkgo Biloba extract daily for 4, 6, or 10 months. 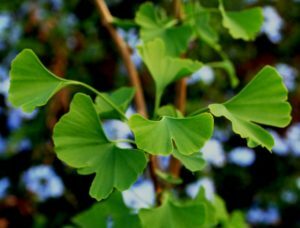 Participants who took Ginkgo extract experienced improvement in activities of daily living, mood and alertness compared to the control (who took nothing). 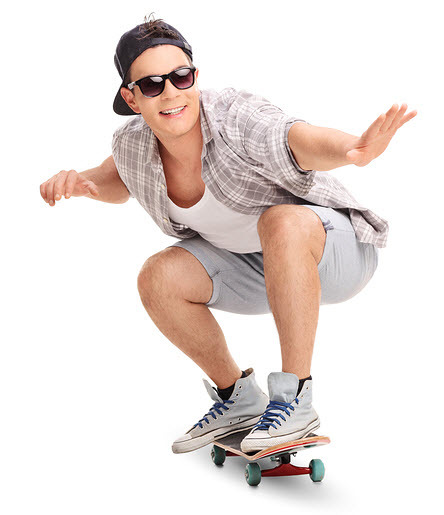 Activities of daily living included multi-tasking, completing household tasks, concentrating during a conversation, remembering important dates, and giving and following directions. Measures of their mood included ratings of anxiety, depression, energy, drowsiness, sadness and happiness. Alertness factor rated whether they felt alert, clumsy, dizzy, relaxed and tired. Researchers at the University of Northumbria in the UK set out to determine if a single dose of Gingko would improve attention and memory in healthy volunteers. This placebo-controlled, multi-dose, double-blind trial worked with 20 people. Participants were given either a placebo or single-dose of Gingko Biloba extract of 120, 240 or 360 mg. They were tested for their speed of attention, attention accuracy, memory speed and quality of memory. They were tested before the dose or placebo, and again at hours 1, 2.5, 4, and 6 hours. The scientists reported that Ginkgo improved multiple cognitive performance measures. Most dramatic were with “speed of attention”. And results were better with the highest dose of 360 mg compared to the 240 mg dose. This improvement was noted at the 2.5-hour mark. But was still noticeable 6 hours after supplementing with Gingko. Recommended dose of Gingko biloba is 40 mg 3-times per day. 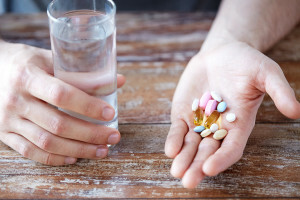 But daily dosage can range from 120 – 600 mg depending on the disorder being treated. Most Ginkgo biloba products claim that a minimum of 4 weeks is required to achieve a boost in focus, memory and concentration. There is the potential for an increased risk of bleeding when Ginkgo biloba is used concurrently with antiplatelet agents (e.g., aspirin, clopidogrel (Plavix®)), anticoagulants (e.g., warfarin (Coumadin®), enoxaparin (Lovenox®), heparin) or herbs with coumarin constituents (e.g., angelica, anise, capsicum, celery, chamomile, clove, danshen, garlic, ginger, horseradish, licorice, onion, papain, red clover). Hypomania has been reported in patients with depression when Ginkgo leaf extract was used in combination with fluoxetine (Prozac®)/buspirone (BuSpar®), St. John’s wort, and melatonin. Ginkgo leaf extract can alter insulin secretion. So patients taking insulin should monitor glucose levels closely. There have also been reports of seizures associated with Ginkgo use with patients using medication used to lower seizure threshold. These drugs include propofol (Diprivan®), mexiletine (Mexitil®), amphotericin B (Fungizone®), penicillins, cephalosporins, imipenem/cilastatin (Primaxin®), bupropion (Wellbutrin®), cyclosporine (Neoral®), fentanyl (Sublimaze®), methylphenidate, and theophylline. Gingko leaf is produced from green, picked leaves grown on plantations specifically developed for pharmaceutical purposes. Ginkgo biloba extract is available in capsules, tablets, concentrated liquids, sublingual sprays, bars and cola drinks. Standardized products should contain at least 24% flavone glycosides and 6% terpenes (ginkgolides and bilobalides). The products most commonly used in clinical trials are Ginkgo biloba standardized extracts EGb 761 (Tanakan) and LI 1370 (Lichewer Pharma). We recommend using Ginkgo Biloba as a nootropic supplement. Your body does not make Gingko biloba on its own. So you must take it as a standardized supplement. Gingko biloba that has not been standardized to at least 24% flavone glycosides and 6% terpenes does not appear to be effective. So make sure you buy a standardized Ginkgo supplement. Ginkgo increases alertness, focus, concentration and memory even in the young and healthy. Many neurohackers report immediate effects of supplementing with Gingko. But others find they need several weeks for the active compounds found in Ginkgo to take effect. We suggest dosing up to 240 mg per day split into 3 doses throughout your day. But please refer to the “Side Effects” section of this article before you start using Ginkgo. It’s a powerful supplement and could interact with some medications. When I have taken Gingko, It made feel very tired. Any thoughts? Andy, what form of Ginkgo were you using? 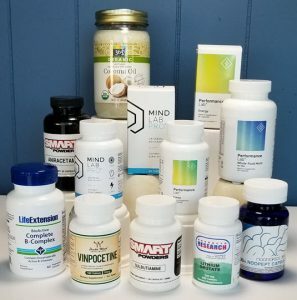 Are you taking any other nootropic supplements or prescription medications? Do you have any health issues you are dealing with or aware of? Andy, Gingko acts like a monoamine oxidase inhibitor (MAOI). Beta blockers can increase the potency of MAOI’s which can lead to an unexpected drop in blood pressure. Resulting in feelings of fatigue and dizziness if you are standing up. Reduce the dose? Thanks for great research on that. any thoughts on anything that may strength optic nerve? Andy, I haven’t done a lot of research on eye health although your eyes are intricately involved and connected to your brain. I know that Vitamin B12 helps prevent macular degeneration: https://nootropicsexpert.com/vitamin-b12-cobalamin/. I suspect some of the other Vitamin and minerals would be powerful ways to strengthen the optic nerve as well. I’m just finishing up a post on minerals that will be published in the next day or two. Anything that helps build “myelin” should benefit the eyes as well because the optic “nerve” is likely protected by a myelin sheath. Which needs certain vitamins, minerals and a couple of nootropics as I recall to synthesize and build myelin. Where is a good source to buy EGb 761 powder? I’m struggling to find it anywhere. thanks a lot for this helpful article. I’am taking Ginkgo extract ( tablets 120mg), is it okay to take L-theanine too. Emarceen, Gingko and L-Theanine should work well together. The synergy effect of these two works well. Curious if you’ve undergone genetic testing to see if any methylation issues may be at the root of your ADHD issues? I’ve been barking down this path for 8 years trying to unravel the mysteries of why my son’s autoimmune disease is refractory to the “gold standard” of immunosuppression. Epigenetics seems to be the answer, but trying to find someone well-versed in that area is proving very difficult. Thank you for this well-written and informative space. Lynn, I have had genetic testing done for methylation issues. Dr. Mark Hyman has done some work in this area. And a couple of other integrative medicine doctors. Have you tried doing a search for “testing for methylation defects” and variations on that keyword theme? Aeris, if you are using Ginkgo capsules I’d take the capsule apart and discard half of the 500 mg content. Hi David, I currently take Rhodiola and ashwaganda can you tell me if ginkgo biloba would be appropriate to add? Jon, Bacopa may help and side effects are rare so worth trying. My Ginkgo Biloba is written 6000Mg. is it dangerous and should i discard it away for safety reasons? George, most of the clinical studies I researched used Ginkgo Biloba extract and not plain Ginkgo powder. But 6,000 mg does seem a little much. I suggest checking out the manufacturer’s website and see what they recommend. And the reviews for wherever you bought the supplement. hi David and everybody, I would like to know what this quote means literally (in details) : “There is the potential for an increased risk of bleeding when Ginkgo biloba is used concurrently with antiplatelet agents (e.g., aspirin, clopidogrel (Plavix®)” ? what risk are we talking about on here? bleeding, what kind of bleeding is it? if the person is not a pregnant nor injured or has a wound or cut! I got a stroke and a right internal carotid artery stenosis since end of October 2018, and the neurosurgeon did put me on aspirin 100 and plavix 75, but I am reallly trying to get rid of them and substitute them with ginko, and can’t find any doctor who agrees me on that evening the other doctor who is a vascular surgeon. so my plan is to take the risk on my own for several days 3-7 days using ginko and stopping aspirin and plavix, and perform blood tests such as pt, ptt and platelet in CBC. and if it was good then that means no need for aspirin and plavix and I can be on ginko for a year or two. I have read the whole article about ginko and seen multiple YouTubes and I feel that it would be a help for my recovering. any clues? Khaled, I can’t advise you to stop aspirin or Plavex or tell you with confidence that either can be replaced by Ginkgo. But studies show Ginkgo significantly increases blood flow. However, I’m not sure about its anti-clotting benefits if that’s what you need in your situation. Hi David,I was just wondering if it is safe to take ginkgo with mind lab pro and I also take Ashwaganda thanks Don. Don, it is safe and there are no contraindications that I’m aware of. 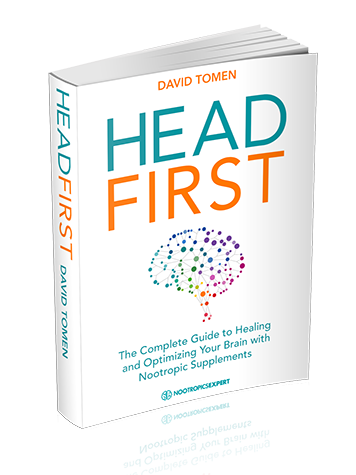 But I’d start with the lowest recommended dosage for each additional nootropic and see how it goes.